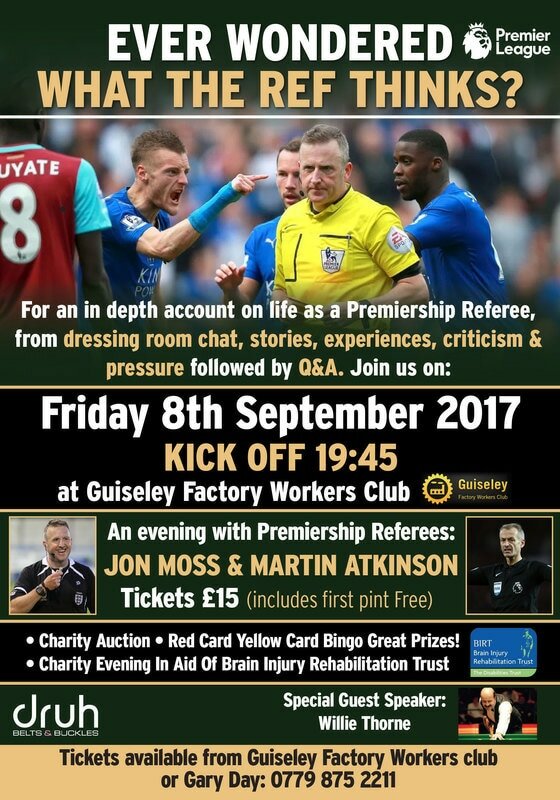 Guiseley supporter and former professional golfer Gary Day is holding a Charity Event in aid of Brain Injury Rehabilitation Trust. Premier League referees Jon Moss and Martin Atkinson will be in attendance as well as special guest speaker Willie Thorne. Tickets are priced at just £15 for the event which starts at 7:45pm. Included in the ticket price is a free pint! We'll have tickets for sale at our desk in the clubhouse or for further information please call Gary on 07798752211.